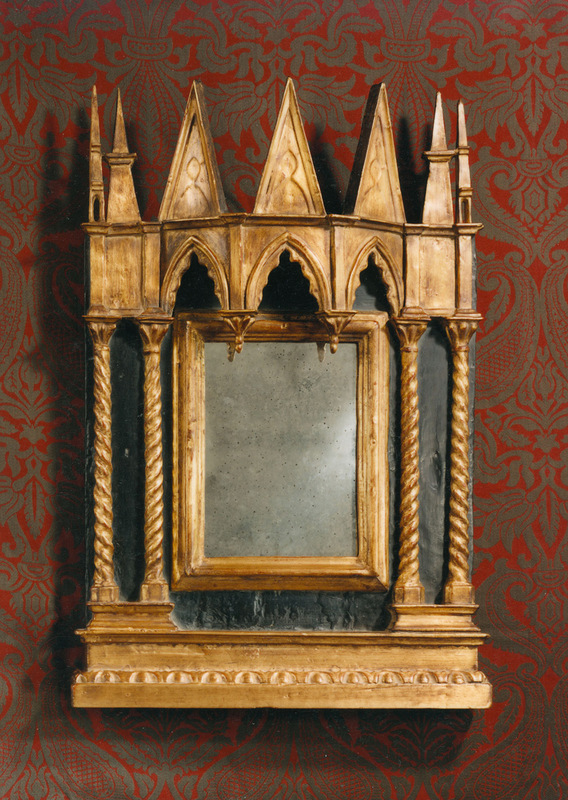 An extraordinary architectural piece of museum quality, this 13th Century Gothic design is deeply dimensional. Twisted columns support an over-hanging canopy of Gothic arches and spires. An ancient gold leaf finish, ancient dark polychrome ground and antique mercury glass further enhance the medieval Tabernacle's mystique.